"Large enough to get the job done, Small enough to care!" 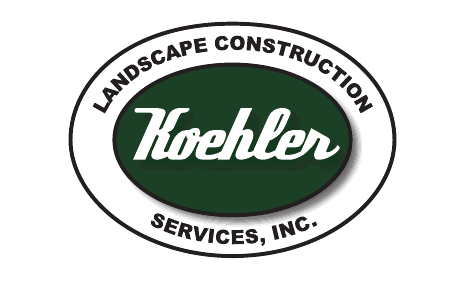 Koehler Landscape Construction Services, Inc of Amherst, NH is a professional landscape construction service covering all aspects of outdoor construction from patios and retaining walls - to outside kitchens and pavilions. We also install lawns and irrigation. Other services we provide are landscape lighting, install and repair irrigation, build water features,driveways and walks plus much more! If you can imagine it we CAN build it – GIVE US A CALL. We ARE landscaping! "You pay with peanuts and you get a bunch of monkeys!" Many companies pride themselves on being the cheapest, or beating any estimate. Keeping our expenses down while giving you a very professional job is our specialty but we don't sacrifice quality for price. We aren't the cheapest but we are the best for the price. Other companies cut corners but we never will. We take pride in our work because we know you take pride in how your landscaping looks. That's why we offer a 100% satisfaction guarantee. Do you want a fresh look? Something no one else has? Looking to list your home and want to increase curb appeal? Want a free quote? Do you live in Amherst or the surrounding area? Give us a call, email us, or fill out the contact form below and we will be more than happy to give you a free quote. Leave your info here for a fast response!